A SEARCH health educator in Kisoro, Uganda, sings about the need to be tested for HIV and start ART. People living with HIV in rural East African communities that hosted annual community health campaigns initiated antiretroviral therapy (ART) earlier and had higher levels of overall survival and viral suppression than communities receiving standard HIV care, according to study data presented today at a press conference at the 22nd International AIDS Conference (AIDS 2018) in Amsterdam. Communities with annual multi-disease health fairs, which delivered patient-centered, streamlined HIV care, also had fewer cases of tuberculosis (TB), better control of hypertension and approximately 30 percent fewer new HIV cases during the last year of the study compared to the first year. The study, known as Sustainable East Africa Research in Community Health (SEARCH), is supported by the President's Emergency Plan for AIDS Relief (PEPFAR) and the National Institutes of Health (NIH). "We know that the ability of antiretroviral therapy to suppress HIV to undetectable levels is not only life-saving for individuals, but also prevents sexual transmission of the virus," said Anthony S. Fauci, M.D., director of the National Institute of Allergy and Infectious Diseases, part of NIH. "Innovative implementation of antiretroviral therapy through community health initiatives may be one way to save lives and change the trajectories of even the most ingrained epidemics." 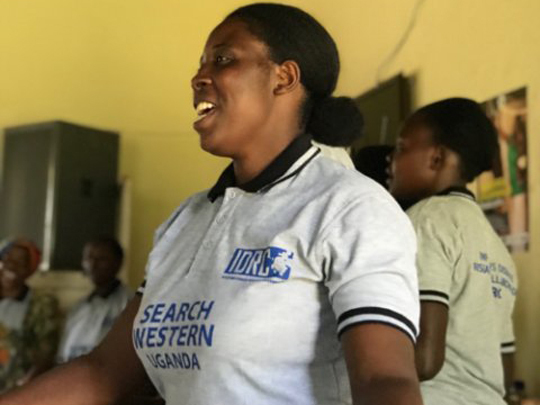 "Our team hypothesized that partnering with communities to deliver patient-centered care for a range of common diseases, including but not exclusively HIV, would reduce new HIV infections and improve community health," said Diane Havlir, M.D., principal investigator of SEARCH, at the University of California, San Francisco. Reference: D Havlir, et al. SEARCH community cluster randomized study of HIV "test and treat" using multi-disease approach and streamlined care in rural Uganda and Kenya. 22nd International AIDS Conference, Amsterdam (2018). About the U.S. President's Emergency Plan for AIDS Relief (PEPFAR): PEPFAR is the U.S. government's response to the global HIV/AIDS epidemic and represents the largest commitment by any nation to address a single disease in history. Through the compassion and generosity of the American people, PEPFAR has saved and improved millions of lives, accelerating progress toward controlling and ultimately ending the AIDS epidemic as a public health threat. For more information, please visit www.pepfar.gov, and follow PEPFAR on Twitter, Facebook, and Instagram.